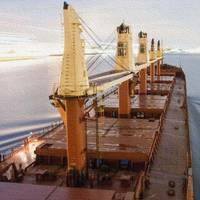 The provider of marine transportation services Algoma Central Corporation announced that the recently completed Algoma Conveyor, the third Seawaymax Equinox Class 740’ self-unloading dry-bulk carrier, has begun its delivery voyage from China to Canada.The vessel began its two month journey home, departing the Yangzijiang shipyard on February 16, 2019.After taking fuel in the Philippines the vessel will cross the Pacific Ocean, travelling through the Panama Canal and from there will make its way to Canada. 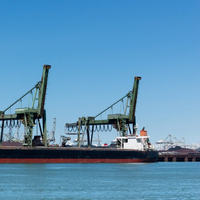 Danish dry bulk carrier Thorco Bulk announced today it has been renamed Trithorn Bulk with immediate effect. “This is a natural development for our company. 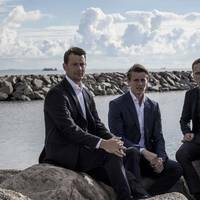 We wish to further strengthen our corporate identity and position in the market by taking a name that truly expresses what the three of us, the trio from North of Denmark, has built together with Thornico,” Trithorn Bulk management explained on the company’s website. The name change includes no changes to the legal entity or to the ownership, status management and personnel. 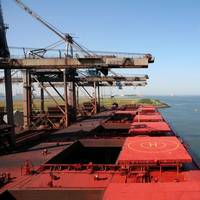 Crisis-wracked commodity trader Noble Group said on Friday said proposed agreements to sell four dry bulk carrier vessels have fallen through after the buyers failed to get approval from their boards for the deals by Thursday. Noble estimated it would have received net proceeds of about $30 million if the vessels had been sold, after repayment of mortgages associated with the ships and other costs. "Noble Group wishes to update that the vessels are, in the current market, profit generating and cash flow positive," it said in a statement. 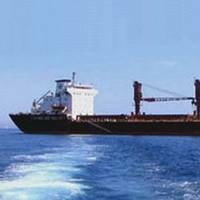 India’s largest private sector shipping company Great Eastern Shipping Company Limited (G E Shipping) has contracted to sell its 2003 built Supramax Dry Bulk Carrier Jag Rahul of about 52,364 dwt. G E Shipping said that the vessel will be delivered to the new buyer in Q4 FY 2017-18. The Company’s current fleet (including Jag Rahul) stands at 48 vessels, comprising 32 tankers (12crude carriers, 17 product tankers, 3 LPG carrier) and 16 dry bulk carriers (1 Capesize, 8 Kamsarmax, 7 Supramax) with an average age of 10.24 years aggregating 3.93 mn dwt. Euroseas Ltd, an owner and operator of drybulk and container carrier vessels and provider of seaborne transportation for drybulk and containerized cargoes, announced today that it took delivery of the previously announced acquisition of the newbuilding. The newbuilding Hull DY 160, to be renamed Alexandros P, is a 63,500 dwt Ultramax dry bulk carrier built in January 2017. Aristides Pittas, Chairman and CEO of Euroseas commented: "We are very pleased to complete the acquisition of Alexandros P, an Ultramax drybulk carrier the construction of which we have supervised over the last two years. The Great Eastern Shipping Company Limited (G E Shipping) signed a contract to buy a Supramax Dry Bulk Carrier of about 52,450 dwt. The 2006 built vessel is expected to join the Company’s fleet in Q1 FY18. The Company’s current fleet stands at 43 vessels, comprising 28 tankers (11 crude carriers, 15 product tankers, 2 LPG carrier) and 15 dry bulk carriers (1 Capesize, 8 Kamsarmax, 6 Supramax) with an average age of 9.56 years aggregating 3.54 mn dwt. The company has also committed to purchase 1 Secondhand Suezmax Crude Carrier. 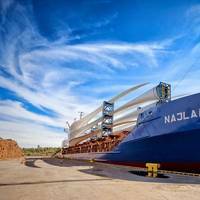 Star Bulk Carriers, a global shipping company focusing on the transportation of dry bulk cargoes, has announced that it has entered into a definitive agreement to acquire a Supramax dry bulk carrier from an unaffiliated third party. The acquisition will be partly financed through debt secured from a financial institution. The Vessel has a carrying capacity of 56,582 deadweight tons and was built to high specifications at Jiangsu Hantong Shipyard, China in 2011. The Vessel is expected to be delivered to Star Bulk during the month of July 2017. ABS, a provider of classification and technical services to the global marine and offshore industries,has confirmed that the ABS-classed Navigator Aurora, the world’s largest ethane/ethylene capable liquefied gas carrier, has been delivered to Navigator Gas by Jiangnan Shipyard in Shanghai, China. 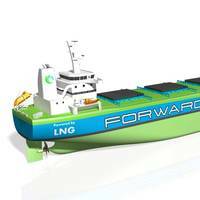 The Navigator Aurora is the first of four Navigator Gas ethane/ethylene midsize vessels to be delivered with ABS Class during 2016 and early 2017. 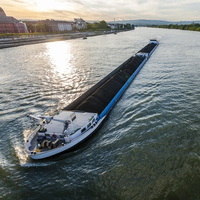 It has a cargo carrying capacity in excess of 37,000 cbm and is fitted with dual fuel engines that enable the ship to operate on either diesel fuel or LNG, making it capable of meeting the most stringent current and future air emissions requirements. FreeSeas Inc. announced that on September 26, 2016, it sold to unrelated third parties the M/V ‘Free Maverick’, a 1998-built, 23,994 dwt Handysize dry bulk carrier for a sale price of $1,925,000. The vessel’s mortgage has now been discharged. FreeSeas Inc. is a Marshall Islands corporation with principal offices in Athens, Greece. It is is a Greece-based transporter of dry-bulk cargoes through the ownership and operation of two Handysize vessels and an owner of a controlling stake in a company commercially operating tankers. Currently, the Company operates two Handysize vessels. 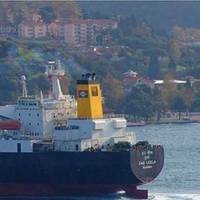 Great Eastern Shipping (GES) Company posted a 23.9 per cent decline in consolidated net profit at Rs 268.7 crore ($40 million) for the second quarter ended September 30, 2016, reports PTI. The company had posted a consolidated net profit after tax of Rs 353.5 crore in the corresponding quarter of previous fiscal, Great Eastern Shipping said in a BSE filing. GE Shipping took a delivery of a Secondhand Capesize Dry Bulk Carrier (Year built: 2011) named “Jag Anand” of DWT 179250 MT on July 14, 2016.